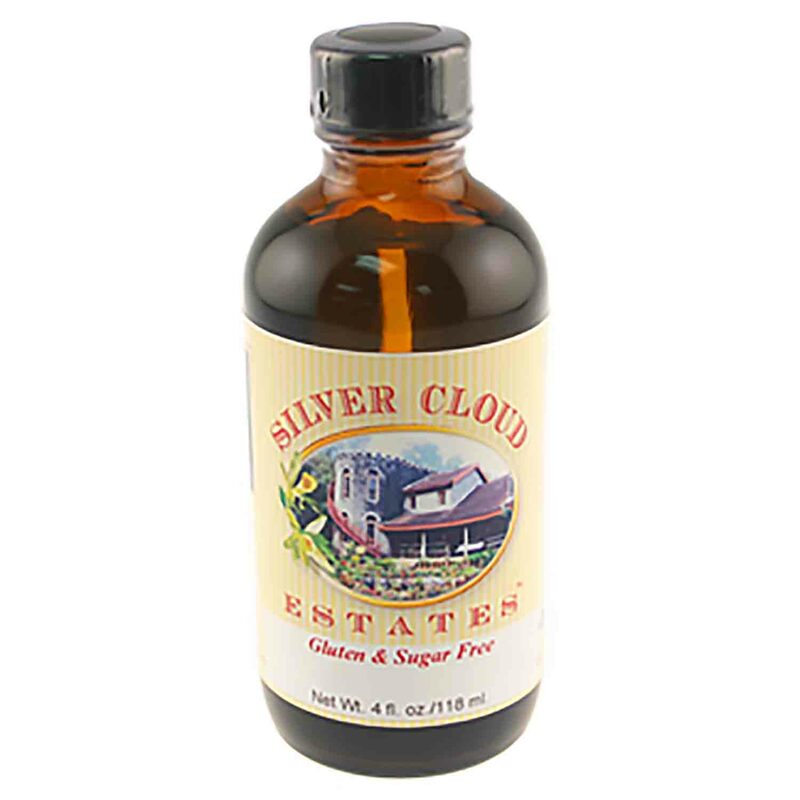 Brand: Silver Cloud Estates SCE-054 Units: 4 oz. jar If you love white chocolate, you are going to love Silver Cloud's White Chocolate, Natural Flavor Blend. This great tasting, bake and freeze-proof flavor can be used in baking, beverages and ice cream. White chocolate is made using cocoa butter, milk, and sugar. Unlike milk and dark chocolate, it does not contain any cocoa solids. It can be difficult to bake with and often becomes lumpy and grainy when blended with water. White chocolate also has a tendency to brown when baked. This clear flavor has none of these limitations. Since it is colorless, it can be used to make the best tasting pure white chocolate frosting. We recommend using one teaspoon of White Chocolate, Natural Flavor Blend in three cups of baking mix and three to four ounces in five gallons of ice cream. This product is gluten-free and does not contain any theobromine. If you love white chocolate, you are going to love Silver Cloud's White Chocolate, Natural Flavor Blend. This great tasting, bake and freeze-proof flavor can be used in baking, beverages and ice cream. White chocolate is made using cocoa butter, milk, and sugar. Unlike milk and dark chocolate, it does not contain any cocoa solids. It can be difficult to bake with and often becomes lumpy and grainy when blended with water. White chocolate also has a tendency to brown when baked. This clear flavor has none of these limitations. Since it is colorless, it can be used to make the best tasting pure white chocolate frosting. We recommend using one teaspoon of White Chocolate, Natural Flavor Blend in three cups of baking mix and three to four ounces in five gallons of ice cream. Ingredients: Propylene Glycol, Ethyl Alcohol, Water and Natural Flavor.